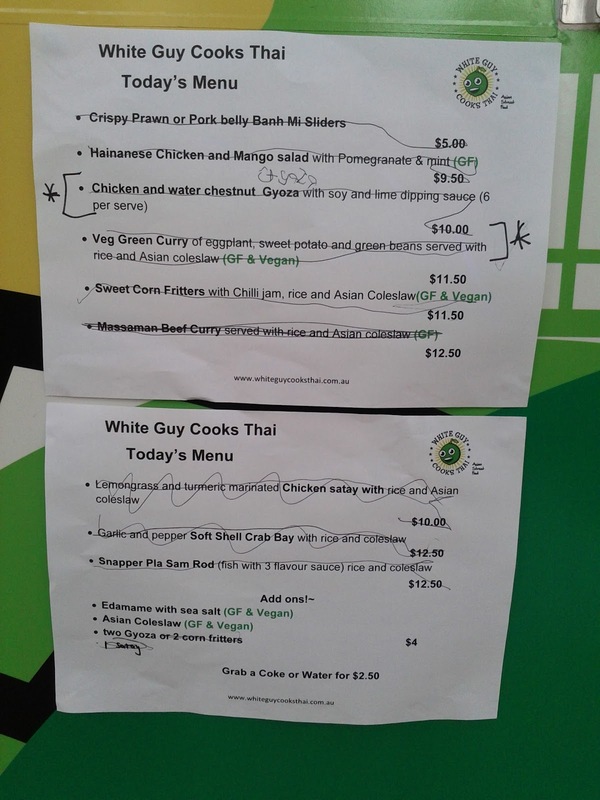 The White Guy Cooks Thai food truck has been plying its trade in the West for a few months, and getting a bit of a buzz. We hadn't managed to track it down, other than a random encounter when we were out for a bike ride and the truck was closed for their afternoon break. To find out where the truck is, follow their twitter account or their facebook page. Regular haunts include parks in Yarraville, Footscray and West Footscray, all not far from home for us, and when a Friday in Seddon came up, we planned to make our way down. Various reasons meant it wasn't until about ten to eight that I finally arrived and found a menu full of items already sold out. 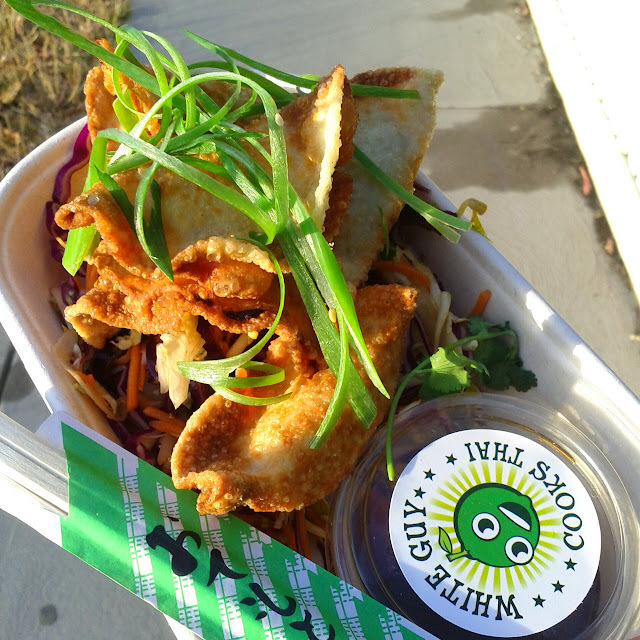 As it was pretty much all that was available I grabbed the Chicken and water chestnut Gyoza with extra Asian Coleslaw. The Gyoza were deep fried and looked perfectly golden and crisp. I took them home to share, and they were probably a little on the cool side after the 5 to 10 minute walk. They were enjoyable and nicely flavoured and the coleslaw was pleasant. Perhaps we'd been expecting too much, but it wasn't the knockout we were expecting. The food was prepared quickly and the staff were very friendly. 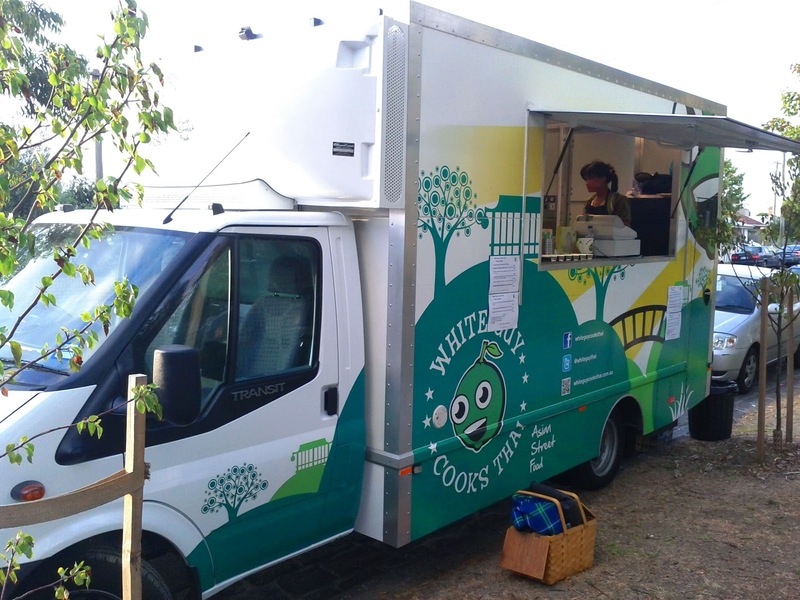 We will have to give the truck another chance, and get there a bit more promptly next time! I love the name, I'd go there just to check on who's working in the back. I've seen a few different people working in the truck, but I wont spoil the surprise.